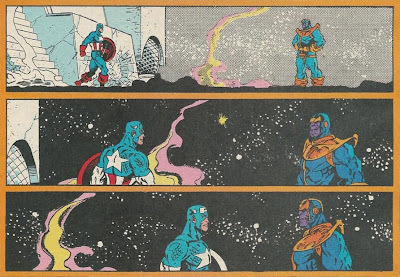 Thanos, having obliterated the majority of life within the cosmos as a token of his affection to Death, kills off the remaining super-heroes allied against him with ease. 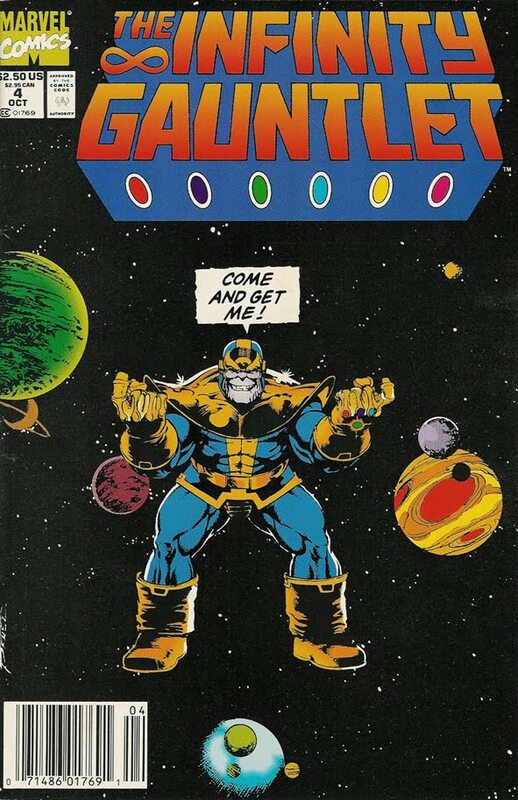 Armed with the all-powerful Infinity Gauntlet, Thor, Wolverine and The Vision all find their death at his hands. As Thanos throws the first punch Cap continues "I've lived my life by those sentiments, they're well worth dying for". 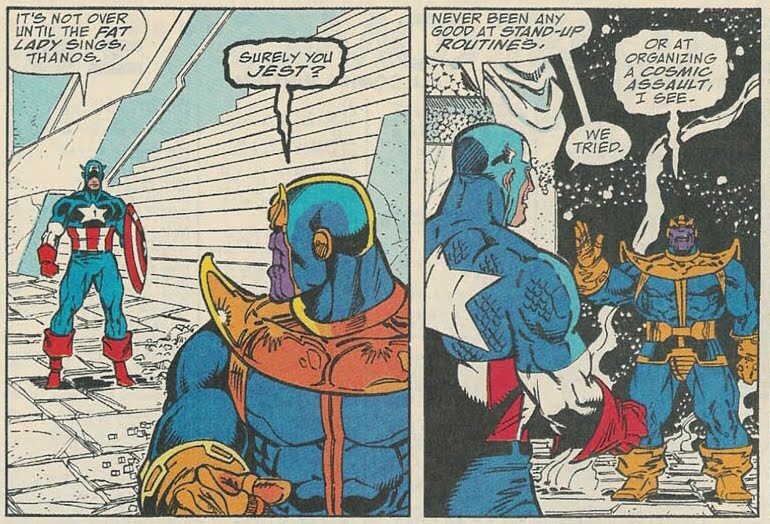 Committing his all to the battle, Captain America knows no matter who wins, for Thanos, the main lesson has just been taught. 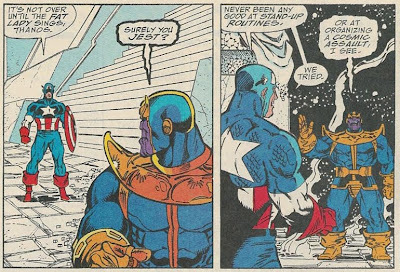 See how Cap's moment of ultimate bad-assery pays off in the Infinity Gauntlet Marvel Premiere Classic hardcover, by writer Jim Starlin, and illustrators George Perez and Ron Lim, available for pre-order now.